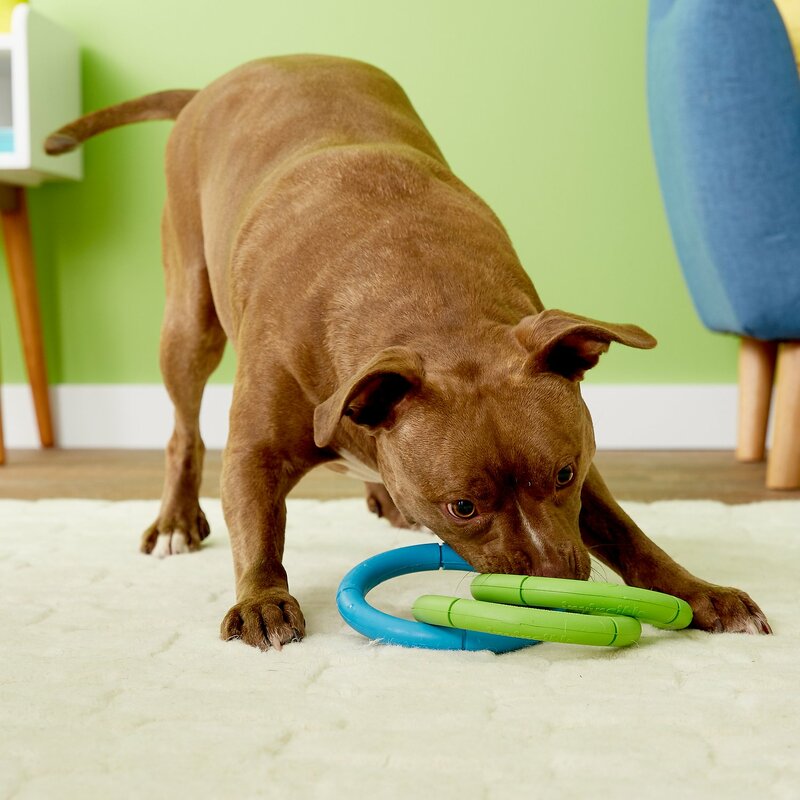 It's not fair to leave our mini friends out when it comes to a good game of tug! 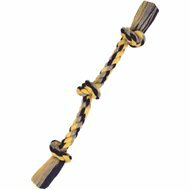 The JW Pet Mini Invincible Chain Small Pull, pull, harder, harder. Dogs just love to play tug. Then throw it. Fetch, too, is a never-ending game. 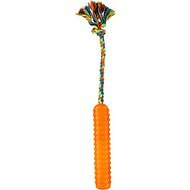 JW Pet’s tug and fetch toys are always made of durable, natural rubber. So they last and last. I have two Saint Bernards who each weigh over 100 lbs. Needless to say, finding toys they can't destroy is tough. These invincible chains are really what they say - basically invincible! My saints play tug with these and they are still intact. I have one that we've had for over a year and it's still going strong. I have another that we left outside in freezing temps all winter and it still holds up. I now have 4 in total for all their different play areas. I couldn't recommend these more! I have three dogs. Two love to play tug, but they also love to chew. I have bought rope toys and they chew on them until I have to throw them away. I bought the Invincible Chains toy and they love it. They chew on it but it stays intact. We have a serious chewer on our hands and so far this is standing up. Really love how the 3 rings allow me to play tug of war with him easily and safely without him biting my hands as i have found with a few other toys. I will buy this product again once he eventually eats through this one. 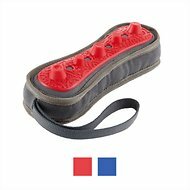 While these are good for puppies/adolescent dogs, they don't stand up well to big dogs or those who are aggressvie chewers. I bought these to go in the bags I send home with puppies when they leave with their new families. Puppies enjoy chewing them while teething and they are great for that. One of my 60 pound Standard Poodles got a hold of one and demolished it in a couple of minutes. My dog loves his new toy! He loves to play tug of war with it. He's 1 year old and about 50lbs and it's held up so far against his tugging. I am on my like 5th one of these darn things. My pitbull loves these rings so much. But manages to destroy it every time. I just got it again 2 days ago and he already broke the middle ring off. I will continue to buy for him but I wish they were stronger. So this is a great constructed toy and my two boys love to play tug. However, they prefer ripping stuffed, squeaky toys to shreds instead. They will play with this toy for a while but then focus on an already shredded toy. This is the first thing (other than the traditional kong) that my dog hasn’t completely destroyed within minutes. He loves chewing on it.